Thanks to Liam Hughes and the Biggerplate team who invited me to introduce my method : Study Better with Visual Thinking. It was in Biggerplate Unplugged in Utrecht, on Wednesday the 9th of October. I already published an article about my five step method “How to study better with visual thinking“. But the wonderful Biggerplate team invited me to introduce it during the Biggerplate Unplugged event in Utrecht on Wednesday the 9th of October. I made a prezi presentation about it, I hoped it was good enough to make a nice talk and I sent the package to Liam Hughes. Of course, I was not the only speaker that day : find the other very interesting speakers of that Biggerplate Unplugged Utrecht on the Biggerplate Unplugged Utrecht page. Next appointment : San Francisco in March 2014. See you there ? Do you need to make comparison in your studies? Do you want to compare two organizations or two situations and you are doubtful on how to do it? The double-bubble maps are a powerful visual tool for this type of operation! Whether during your studies or your career, you are requested to conduct comparisons. For example, the teacher asks you to identify the differences and commonalities between two corporate structures, as in the map below. This was carried out with the mind mapping software called XMind. (Double-click on the image to enlarge. You can also download it from the website Biggerplate). 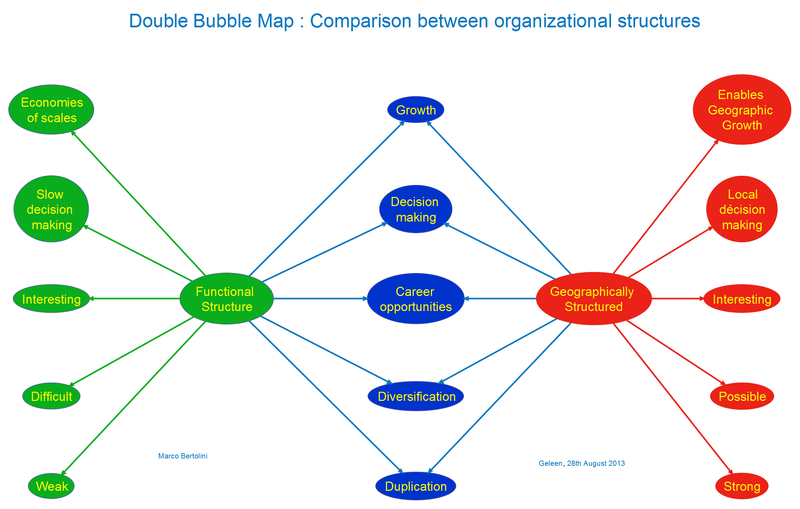 The “double-bubble” map obtained compares two types of business organization: the product or divisional structure and departmental or functional structure. It was conducted during a coaching session with a student in the preparation for the ACCA (Association of Chartered Certified Accountants) examination, a professional accounting certification which is popular in the Anglo-Saxon world. The bubbles from the centre represent the categories considered: suitable for (for any type of business structure that is appropriate) Organization (structure on which criteria is organized) Growth (what is the impact of this type of organization on growth and so on). 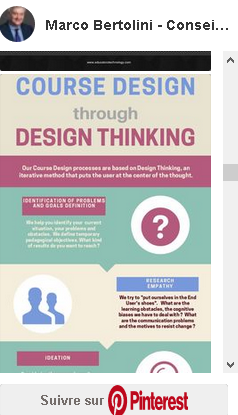 Mind map or concept map? 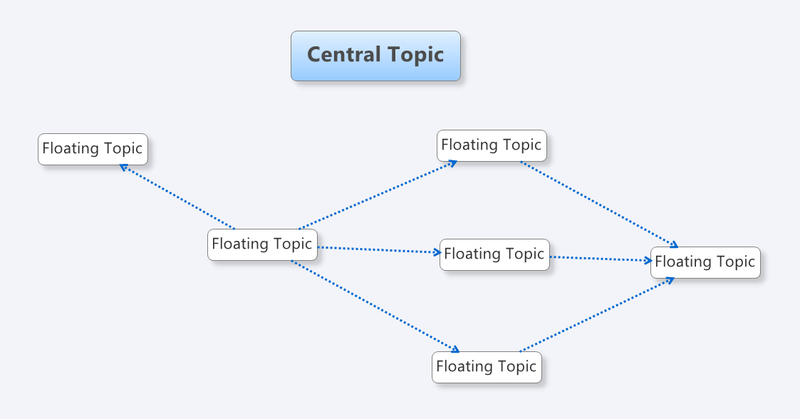 First, create a floating topic by double-clicking at the bottom of the map, then you draw a relationship (CTRL L) from the floating topic and click at the bottom of the map. This again creates a new floating topic. To create this map, I used the central topic as the title: the central subject cannot be moved and it can be a serious handicap if I need to make any changes to my map. Each bubble of this mind map is a floating topic while the “branches” are in fact relationships (arrows in XMind lingo). The problem is that topics have a kind of “magnetism” : they are attracted to each other, if they are too close. Even while pressing the ALT key, it is not always easy to add a new topic in the middle. While this map is related to mindmaps, it is somehow built and functions according to the principles used in developing the concept maps in XMind. This gave me the idea to use other software to create this type of map: VUE also known as Visual Understanding Environment. VUE is clearly a concept mapping software (or concept maps), created by Tufts University. This software is configured to position objects – subjects and relationships – with each other. Here, there is no “magnetism” if the objects are close to each other. And they can be moved at will without disturbing others’ alignments. (Double-click on the image to enlarge to maximum). The result is essentially the same, but the implementation is much easier! I will demonstrate the uses of this concept mapping software and its features later on in other posts. Why use XMind to create such type of maps, since it is more difficult than VIEW, for instance? Everyone is accustomed to VIEW software. Moreover, when working on a project with several topics altogether in the same workbook maps, it may be easier to add a sheet to this workbook. It also allows you to create direct links between maps in the workbook. 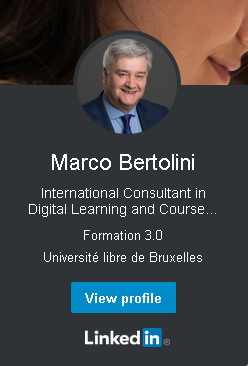 This places an icon in the selected topic. When you click on this icon, the VUE file opens (if the program is on your computer). Try both, the XMind and VUE softwares and keep the one that suits you most, or if you’re like me, keep them both and you’ll be able to work and adapt in both environments!